I wish I had a Blackberry to try out TweetCaster! I know Blackberry users didn’t have many choices for Twitter apps, so this one looks very promising. The funny thing is, @RichDocekal brought it to my attention because Blackberry Cool.com took a screenshot with my tweet in it. :) It was a nice surprise, thanks Rich and BBCool! So if you’re using a Blackberry, try it out and let me know how it is! A new Twitter client has hit the BlackBerry world, this one by Handmark. TweetCaster, is a free* Twitter app that is available exclusively for BlackBerry. 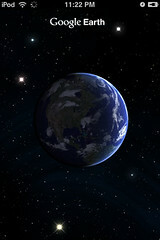 TweetCaster is currently the only Twitter application for BlackBerry smartphones offering the ability to toggle between multiple accounts. 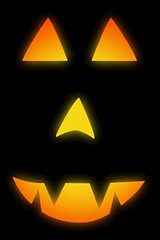 Written By: Tambourine Producers Inc.
Are you MacWorld bound and not from the San Francisco area? 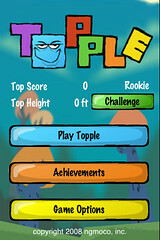 Then you might want to download “Travelo mini – SF” before you head out! It’s a wonderful little travel guide app of the San Francisco area, near the Moscone Convention Center. Some of the highlights of the app includes a list of recommended sight-seeing spots, locals’ favorite restaurants, recommended places to visit, and landmarks. The best part of this app is that it’s all static, so no internet is needed to use the app, besides the link to Google Maps. Enjoy! Have you heard of the Microsoft Surface? I’ve been waiting to play with one ever since I heard Cali Lewis announced this. They can be found at AT&T, Disneyland’s Tomorrowland, MSNBC, Rio in Las Vegas, and Sheraton Hotels. I’ve been to some of those places, but didn’t happen to run into one. But if you have iPhone or iPod touch, you’re in luck! 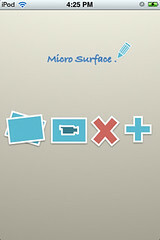 There’s a new app called Micro Surface (iTunes Link) which lets you have the Microsoft Surface experience, but on a smaller scale. When you first load the program, it’s a blank screen. Don’t worry, tap the screen and a circle with icons on it appears. Click on the + icon and you can select images from your photo library to appear on you “micros surface.” Drag and move them around. Tap on them to zoom in. If you have too many images on your surface, hold down on an image, and click on the X to remove. If you want to stack up your images, click on the icon that looks like photos stacked on top of each other. If you like what’s on your surface screen, click on the camera icon and it’ll take a photo of your screen and save it to your photo library. You can also use it as a drawing tool by clicking on the pencil icon. Draw something with one of the 5 different colors. To erase, simply shake your iphone/ipod touch. 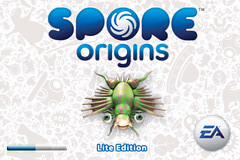 I’ve been hearing so much about Spore since this summer, but didn’t get a chance to try it out yet. 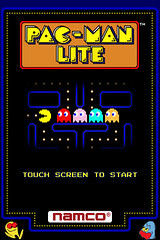 Lucky me, a lite version of the game (iTunes link) showed up in the App store! It’s really cute. First you create your character. Click on the dice to get a random look. You can change its colors, pattern, add a tail, etc. Some items may be locked and only available in the full version. Once you are finished customizing your creature, it’s dropped into the ocean and you must eat, or be eaten! You can eat all the creatures that aren’t evolved. They’re a lot smaller than you. And you want to stay away from the bigger creatures with sharp mouths. 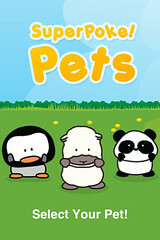 ;) You move your creature around by tilting your iphone/ipod touch. I thought the game was cute, fun, and has great music. The demo version is quite limited though. You can only play one level, and your creature is not saved. Try it out. If you like it, you can buy the full version for $7.99 (iTunes link). 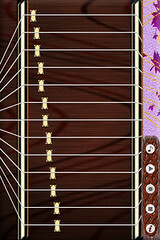 You can now play the Koto (Japanese musical instrument) on your iPhone/iPod Touch! It sounds really pretty and is simple to play. Just run your fingers across the screen over the strings. At the bottom right are extra function buttons. The first plays a demo song called “Rokudan no shireable.” The second will play your last saved song. The third will record. And fourth stops the recording and saves it. The sound of the Koto is so pretty, I thought I’d try out this app. This is a great app for any PHP developer. It’s a quick reference to all 5149 standard PHP functions. You can search for a function or scroll through a list of them. 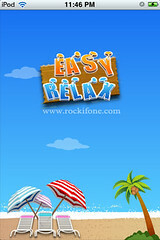 Tap on the function and a description of its purpose and parameters will be displayed. The only improvement I would like is an example of how the function can be used. Other than that, it’s pretty nice.